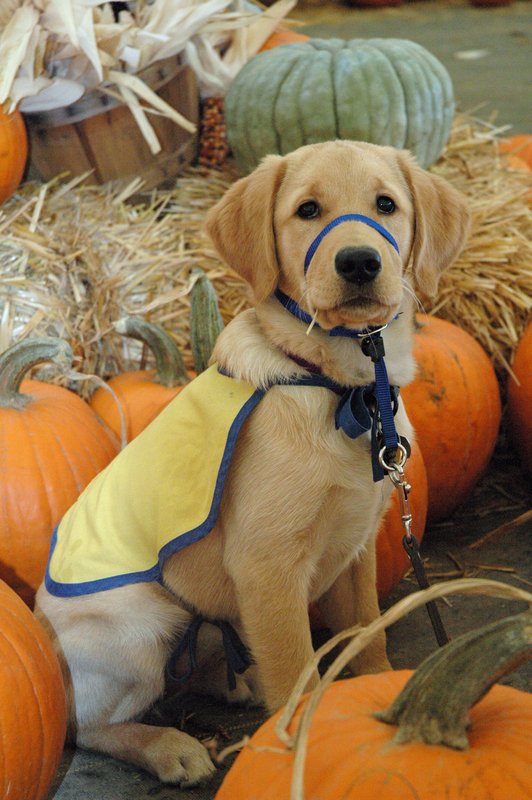 Lacinda is the second puppy we are raising for Canine Companions for Independence. Lacinda's first HalloweenCompanions for Independence. Lacinda is half lab, half golden retriever, half snuggle bug, and half crazy girl. Wait is that too many halfs? Just like people, and I suppose kids, Lacinda and Sabina are nothing like each either other. Obviously they are both super smart, cute, and furry – that is pretty much where the similarities end. Lacinda is much more sensitive than Sabina and her heart belongs to Dave. She isn’t timid but she is not bold and assertive like Sabina.Lacinda is also much more of a snuggler than Sabina, she has to be touching you. If she could she would lay on top of you all of the time. Next to Dave, kids are probably Lacinda’s next love. Lacinda and Dave at turn-in. 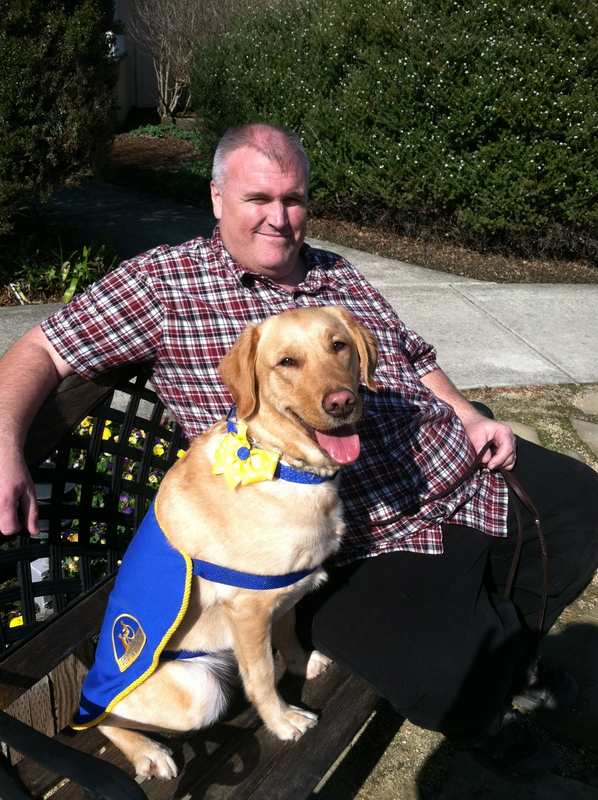 August will be her first chance for team training, all paws here are crossed!